Is your name on the door? Don't go it alone. On the road or in the office, we've got you covered. Starting early and coming home late leaves little time to handle administrative tasks to run your business. We can support your back office function with a wide variety of tasks to allow you to focus on what you do best. We're experienced in helping professionals of all types. We match you with a skilled virtual assistant experienced in making you look good. Whether it's PowerPoint and PDFs, or you've already taken the leap to advanced presentation products, we can help. You provide the content and direction and we can manage the project. Keeping your website updated with current and relevant information is important. From updating basic information to white papers, blog support, and inbound lead tracking, we can help. Is your website integrated with your social media platform? We can do that too and ensure your online presence is active and engaging. Timely client follow-up is critical, but you are on the road and meeting with other clients. Wouldn't it be great to know someone was following up on your behalf to ensure action is taken? Preparing quotes, contracts, services agreements ... there is a lot to do. We can securely complete these for you and manage the documents on the back-end in a secured cloud solution. Electronic signatures from clients and easy access to retrieve your information is seamless when your virtual assistant is behind you. Whether you are on the road, or in the office, we've got you covered. It's hard to keep-up with all the various social media platforms. Let your virtual assistant manage this for you. We have the tools and technology to pull your social media strategy together and ensure your message is consistent across all platforms. We keep you engaged with your audience with relevant content to help you increase leads. Always on the go? Client engagements? Seminars? Conferences? Schedule constantly changing? No matter where you are in the world we can keep you on track and ease the burden of booking and managing travel. How many meetings do you schedule a week? We know it is a lot to manage. We can handle your schedule and ensure you always run on time. 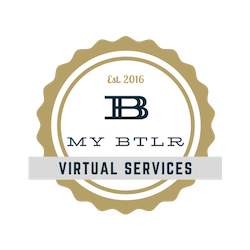 Shifting things around, working people in ... your virtual assistant is a master at maximizing your billable time. Hundreds of emails a day can be daunting. And, delayed responses can be the difference between winning bids or not. Let us work behind the scenes to ensure this part of your communication platform runs efficiently. Using a CRM to track leads and customer engagement? We can manage the product of your choice and ensure actions are taken. These solutions are best when integrated with social media, advertising, and marketing campaigns. No matter your medium or channel we can support you and your needs. Let us create custom templates for you and place ads on your behalf, monitor campaigns and measure effectiveness.